This is somewhat old news, but Adobe announced the end of PowerPC (PPC) Mac support with the latest release of Flash Player (v10.2) in February 2011. (Read the system requirements page for Flash Player 10.2 for further details.) Although content created for Flash 10.1 and earlier will continue to work, anything that requires version 10.2 is out of reach for PowerPC. It’s hard to say whether this was a push by Apple for Adobe to end PPC support in yet another attempt to shift more of us to the Intel side or simply Adobe’s decision to abandon PowerPC to cut development costs. Strangely enough, antiquated Pentium 4 processors (such as the 2.4 GHz 2002 version), Windows XP (released in 2001), and minimalist Intel Atom chips continue to be supported. With that bombshell, PowerPC Mac owners will be facing yet another harsh reality in obsolescence with the possibility of not being able to display some of the latest Web content in the not so distant future. Thankfully, Apple still is giving a trickle here and there of browser support to soften the blow for Mac OS X 10.4 Tiger users with the late 2010 update of Safari to version 4.1.3. I’m simply dumbfounded that fully capable PowerPC Macs continue to lose support and functionality with so many things that similarly aged (and often far older) Intel machines still receive, although ironically it appears that Core Duo Macs – introduced as long ago as January 2006 and discontinued as recently as August 2007 – will lose OS support with the forthcoming Mac OS X 10.7 Lion. In contrast, there always is a silver lining – see PowerBook G4 to the Rescue for a Die Hard Pittsburgh Penguins Fan, which illustrates how a 12″ 1.5 GHz PowerBook G4 was powerful enough to stream a live Pittsburgh Penguins hockey game using NHL.com’s GameCenter Live application and Flash Player 10.1. It’s nice that some applications still allow support for older hardware. Hopefully this continues for a while longer before completely capable machines are crippled even further. 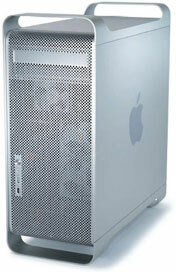 The very last of the PowerPC Power Mac line, the G5 Quad, is much faster than any of Apple’s Intel Core Duo machines and very competitive with most Core 2 Duo Macs. Aluminum PowerBook G4s running at 1.5 GHz or 1.67 GHz are relatively similar in overall processing power when compared to the average netbook with a single-core Intel Atom processor, but the PowerBooks have dedicated graphics and are much more versatile. While these highly capable PowerPC machines meet or exceed the Windows-based minimum hardware specifications required for the latest release of Flash Player, it matters not. Progress in the world of Mac OS X tends to make Apple hardware obsolete much faster than comparable Windows computers released in the same time frame. There are many other examples aside from this recent Flash upgrade that have created arguably unnecessary obsolescence in the Mac world, but progress is progress. In the meantime, always look for ways to get the most out of hardware that is deemed obsolete. If you never happened to own a G5 and don’t mind the limitations of the PowerPC platform, obsolescence isn’t such a bad thing, because it certainly creates amazing values for used equipment. I’ve seen eBay prices on G5 Quads tumble down to the $400 to $500 range – and sometimes less. Get the most out of a lower-end machine until your needs require more. It’s the Low End Mac way. See the following articles by Simon Royal for details on a workaround that will work with some content: Hack Allows PowerPC Macs to Access Flash 11 Content, Flash 11 Hack for PowerPC Updated to 11.5, and Flash 11 Hack for PowerPC Updated to 11.7.